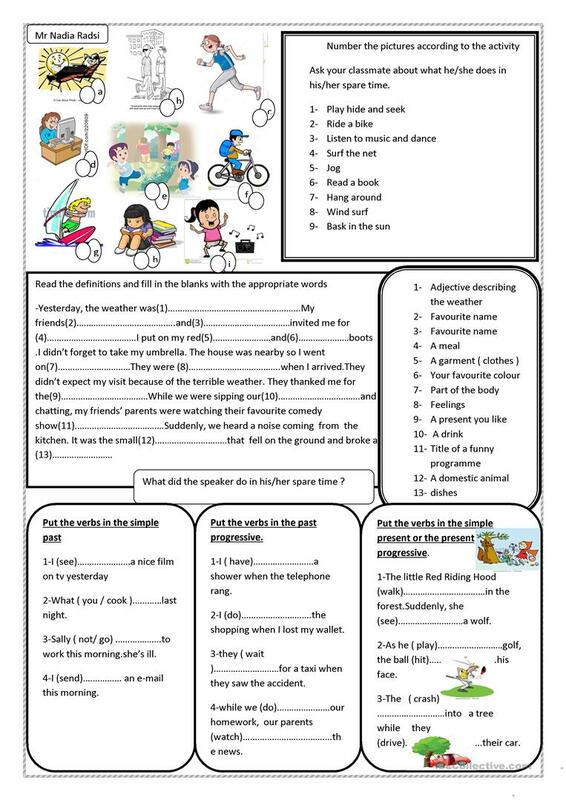 This downloadable printable was created for elementary school students at Intermediate (B1) level. It is great for consolidating Past continuous (progressive) tense in English, and is excellent for honing your groups' Spelling and Writing skills. It is focused on the vocabulary topic of Hobbies.